Queen Victoria School has its own long-standing ceremonial tradition, reflecting the traditions of the Armed Forces in which our families live and work. The School has two Colours (flags) – the Queen’s Colour and the School Colour – both of which are paraded almost every Sunday during the School year, as well as on Grand Day, our big end-of-year parade, inspection and prize-giving. 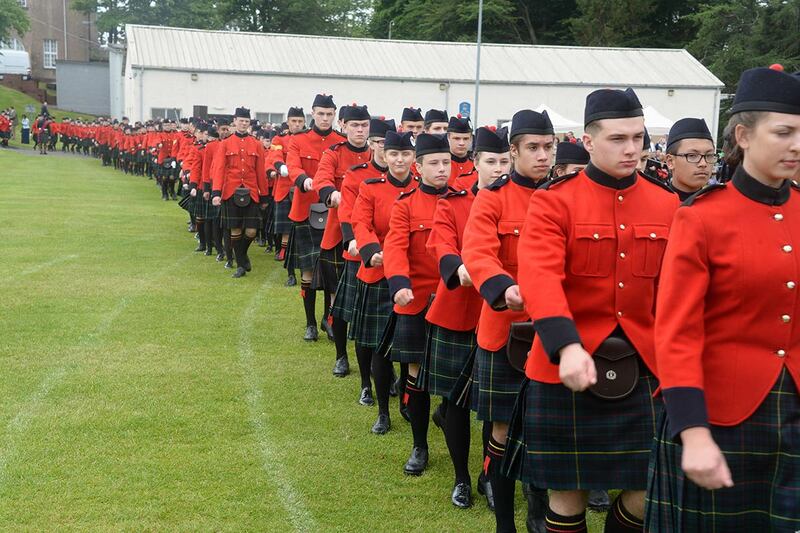 The pupils’ ceremonial uniform has changed little over the past 100 years, and its red tunic, kilt and Glengarry are familiar to all who know of the School. There are six Parade Sundays each year, involving the whole School. 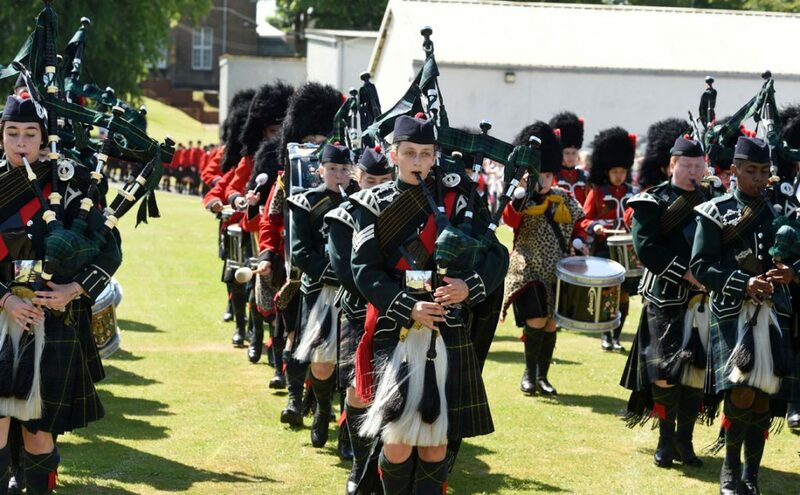 As well as the Parade there is music from the Pipe Band, a display of Highland dancing and a Chapel service which is at the heart of the morning’s activities. 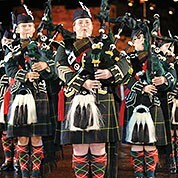 The School has its own Sergeant Major, Pipe Major, Drum Major and Highland Dancing Instructor. We believe that the ceremonial aspect gives our pupils a sense of identity, of community, of pride in themselves and of affiliation with their parents’ lives of service. 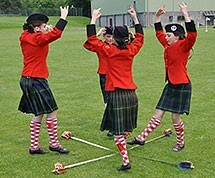 No-one who has seen Queen Victoria School on parade can be in any doubt about the strength of feeling embodied there.